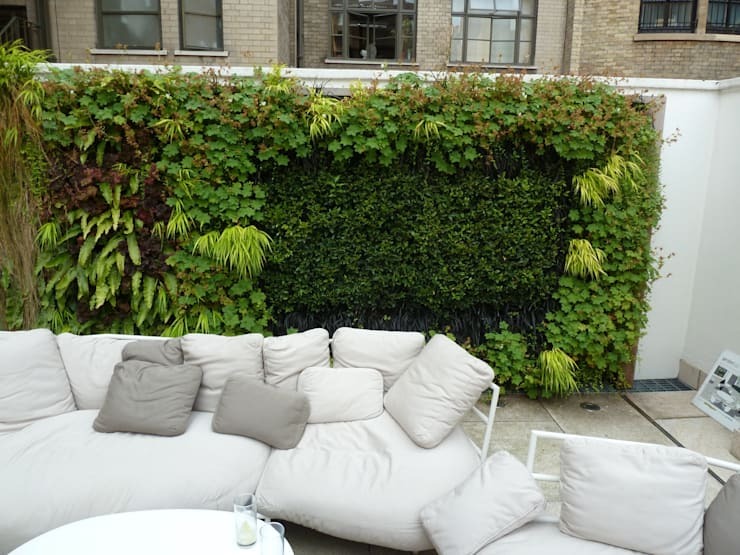 Biotecture installed two living walls on this roof terrace, designed in conjunction with Dan Pearson Studios as part of a refurbishment of the Florence Hall Terrace at the Royal Institute of British Architects' iconic headquarters in central London. 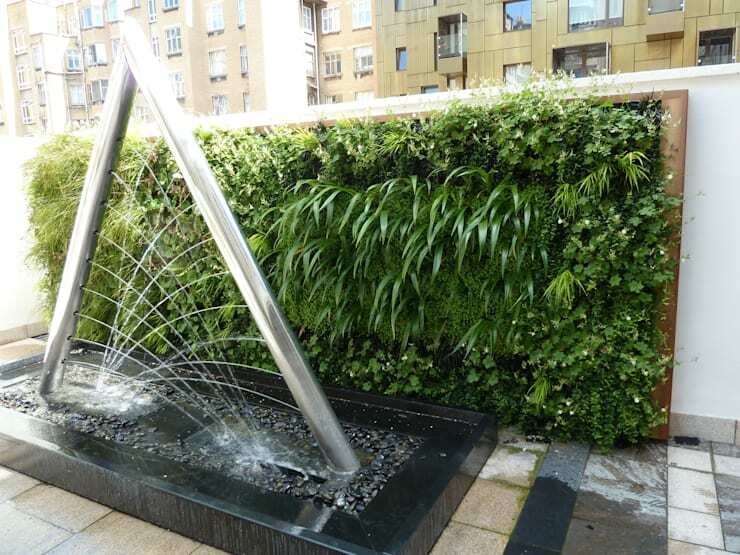 The planting design for the living walls was inspired by a Mark Rothko painting, and has a sophisticated planting scheme to complement a contemporary water sculpture by William Pye. RIBA use the roof terrace as an elegant space for entertaining, hospitality and events. ["IT"] [Published] Piante da balcone? Un modo semplice per abbellire l'esterno della casa! ["PT"] [Published] Design de varandas! 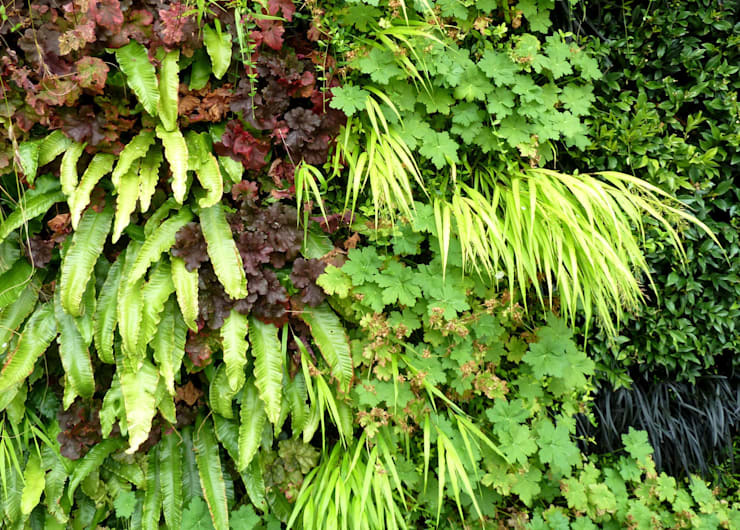 ["PT"] [Published] Jardins verticais: o futuro passa por eles! ["FR"] [Published] 25 manières d’insérer des plantes sur votre balcon ! !